Are you an amateur photographer? Do you have problems in your photographs? Or more simple, you need to make some changes on your pictures without any built-in free photo editor at your current location? If the answer is yes, then you are at the right place. 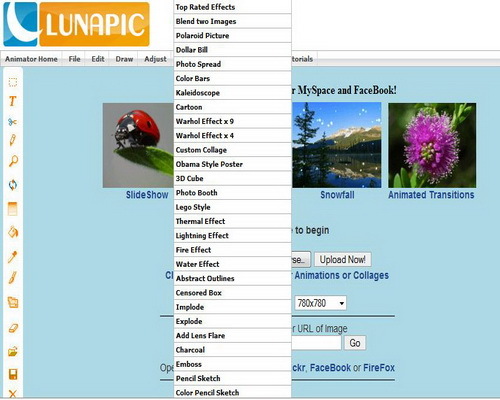 Here is a list of top 18 online picture editors. Now, many online tools are available to help people to get better quality photos, but why this list contains 18 tools only? Because I came across the Internet to think they’re most excellent and professional among thousands of other free picture editors. Whether you are a beginner or experienced person in the filed of photo/graphic/image processing, with the tools in this post, almost you have full powerful features like you’re with Photoshop CS, such as zoom features, full layer support, resize an image, rotate, crop, brightness & contrast, saturation and more color effects (sepia, greyscale, invert, etc. ), and special effects, including remove red eyes, “jitter”, “wood” and “oil painting” among others. 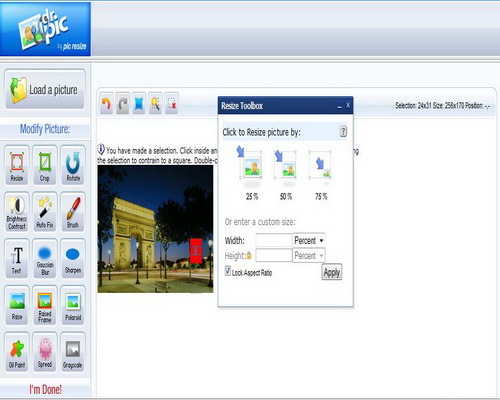 Easily edit your photos from PC uploads or social accounts, such as: Facebook, Photobucket, Flickr, Picasa, etc. In the simple white design layout of this photo editor; you have still many image processing features such as Shape solutions, Image Processing Filters along with the basic functions of an image editor. Picnik has made its mark. It has loads of special effects, a range of nice fonts, and numerous shapes. It enables red eye reduction and also edits the exposure which are the most common problems faced by the photographers. It is fast and works well on different platforms as Mac, Windows and Linux.One of the most interesting features of Picnik is the support of the photo sharing sites and the social networking sites. Registration in Picnik is not mandatory. It is required for some special services only. You are going to spoil your day if you forget your password because it does not have the ‘Forgot your password’ option to retrieve your password. 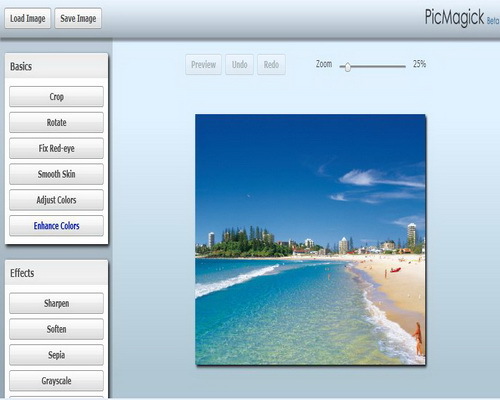 PicMagick is an online photo editor using Flash that helps you to edit/make picture look wonderful within a few clicks. This tool is designed with a simple layout to help you to edit/improve the quality of your photos by the common functions: resize, crop, rotate, sharpen, etc. and many special imaging tasks: red-eyes removal, grayscale color, smooth skin, etc. It is among one of the best option for photo editing. It has all the basic features and in addition many of the advanced tools. It enables simple animations that most of the online tools don’t offer. 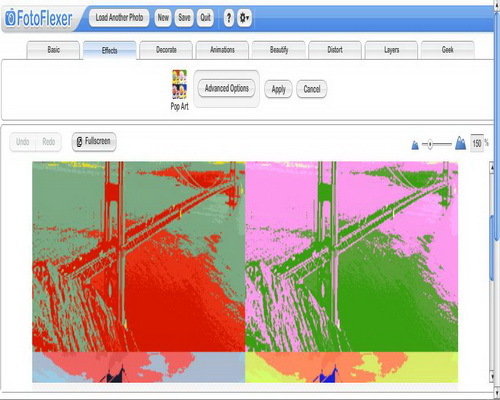 Other features which makes Fotoflexer to stand out is that it has 25 filters and it can flatten images. It is the best photo editor. It has been built on the pattern of Photoshop itself minus the technicalities. It is good for the amateur photographers who don’t want to get indulged into the tricky tools of the Photoshop. Having these superb features the loopholes are there. The printing options are lacking. Also, it doesn’t support photos from higher mega pixel camera. 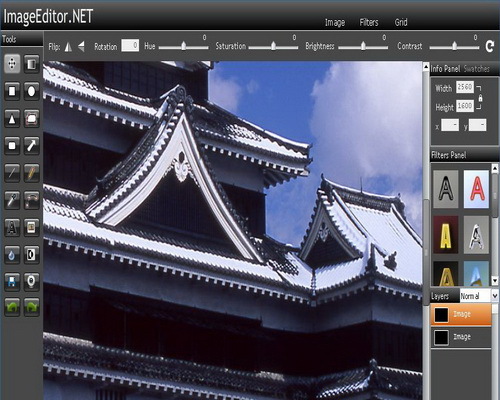 Another web-based photo editor with layout looks like Photoshop CS. It has good graphics with a whole lot of applications. Styling, texting, editing and a lot of effects you can find on this online tool. Snipshot is a simple and clean. The effects section delivers only basic features. Here unlimited undo option is available. The most important feature is that it allows working on pictures greater than 25 mega pixels. This makes it a remarkable feature. It is lacking in the red eye reduction tool. 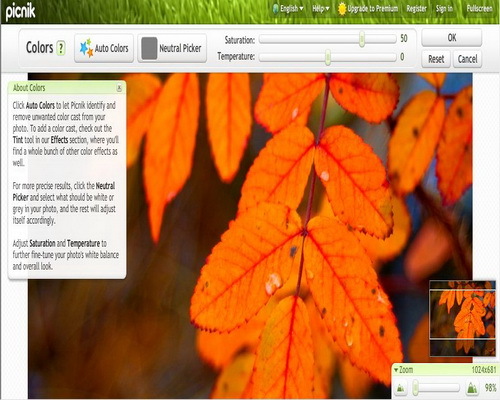 It is a Web 2.0 styled editor having different sections for different functions. The tutorial is not of explanatory kind. The user has to have a fair idea of working on photo editors. It is definitely not for beginners. Registering is required to save your work, hence mandatory. There are a few legal hassles also. Yeah! 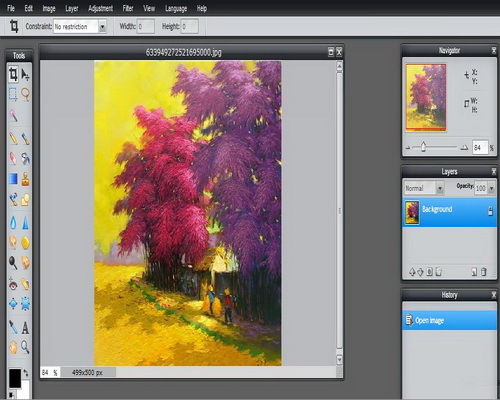 The name of this online photo editor talks to us that Sumo Paint is really a “big” Paint program for imaging solutions and image processing. 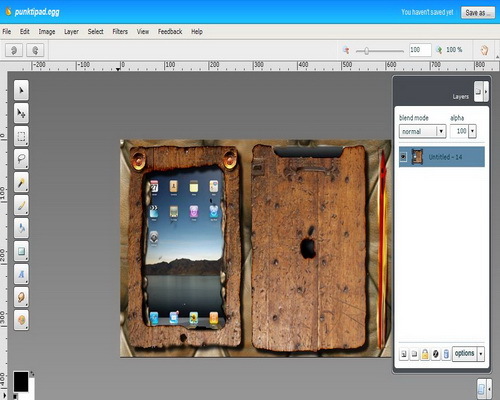 With the Mac-style design, this tool provides us many choices to edit an image through Photoshop-like layout. 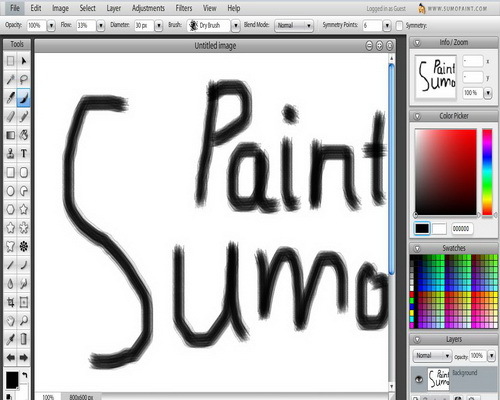 Sumo Paint’s remarkable features such as: layer support, Photoshop layout and multiple document support make it’s worth to use. 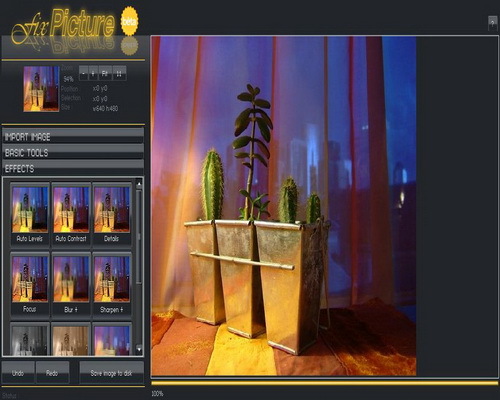 An easy photo editor with black design layout; although this tool does not have many imaging solutions, but from the visual GUI of this web-based editor, you’re able to make some changes on pictures just a few actions quickly. 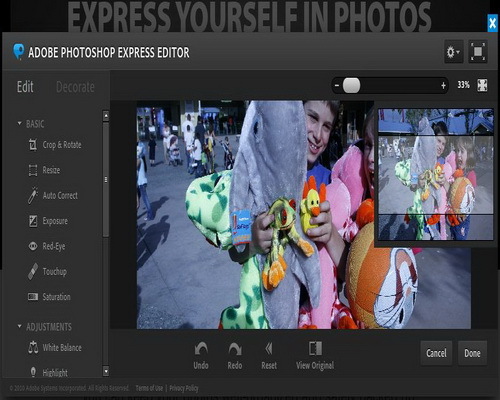 Especially, this photo editor is available to take photo webcams then edit, that’s so cool! Apply special imaging effects to your photos with one click quickly. Clean & simple layout and built-in funny imaging effects are the advantage of this picture editor. Previously known as Fauxto, Splashup is also a free online tool for enhancing the photos. 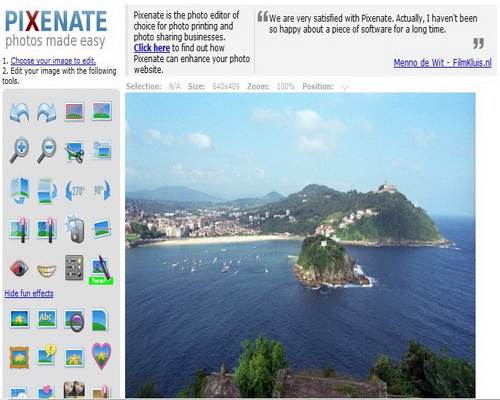 It is browser friendly and supports various photosharing services as Picasa, Flickr, and Facebook. 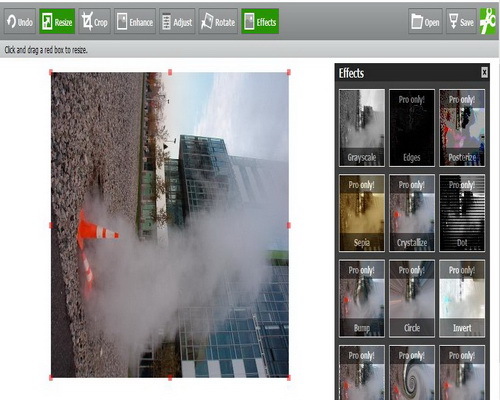 Splashup has a built up of various photo editing tools such as lasso, blur, paint brushes fill, crop, etc. Multiple windows are allowed which gives it an edge above the rest. Beside, also provides us Splashup Light – a free offline photo editor, works perfectly on our desktop as well as on your mobile PCs. 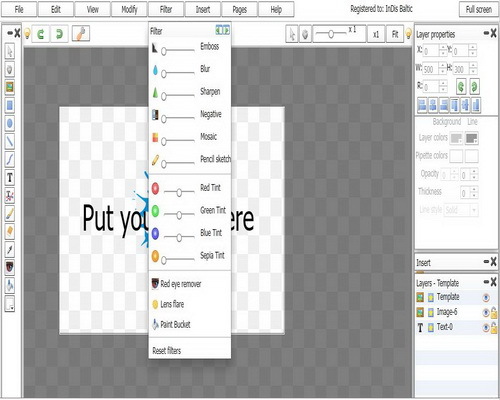 You’ll two version choices when use this free online picture editing tool: Flash & HTML. This is very easy-to-use tool, just select your photo then choose the modifications to apply; although it’s being Beta version but you can still choose up to 5 imaging processing functions and 12 special image effects. Wondering what are the good points of this tool? It supports all popular picture file formats (JPG, TIFF, NPG, GIF, BMP, TGA, …) and camera RAW formats (CRW, NEF, RAF, CR2, DNG, …), more than 400 formats supported. That’s so powerful imaging solution! Just need to make a few changes but more special imaging solutions? With hundreds of built-in special image effects, I assure this tool totally make you happier with better photos. Animated format export is also the strength point of this image solution. 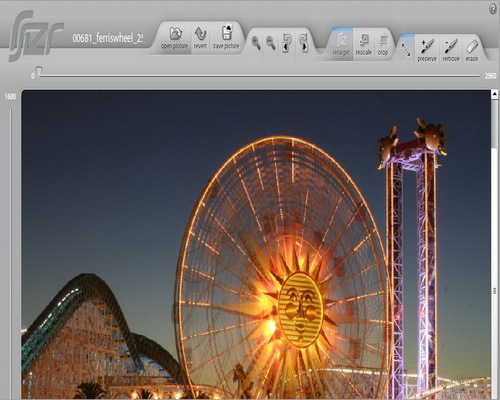 Pixer.us is a simple and straight tool for image editing quickly. It doesn’t require signup. 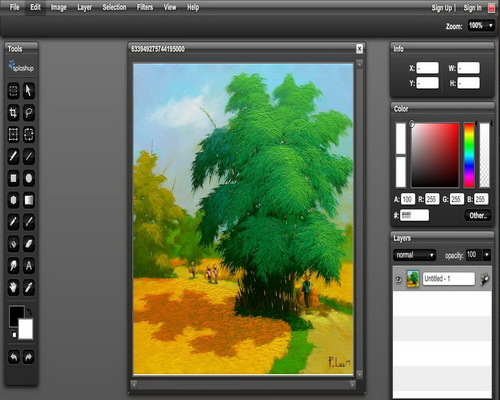 It has all the basic tools as crop, rotate, flip and resize with color fix and resize. A positive feature is that it allows unlimited undo. This is a simple tool to edit your photos online for free. Basically, you can use this free online photo editor to crop an image/resize an image, retouch a face, apply a few artistic effects and perform color correction easily. Multiple language support is a good point of this image editor. rsizr is a simple Flash-based web application that lets you resize JPG, PNG, and GIF images on your computer ONLY. The great feature to have this photo editor in the list is a new image resizing algorithm called seam carving (a method of image retargeting) that tries to keep intact areas in your image that are richer in detail. Just with a few basic functions such as: Resize, Crop, Rotate, Brightness & Contrast and some special imaging effects: Blur, Polaroid, Oil Paint, etc but this free online photo editor processed over five million pictures since 2008. The advantages of this editor are simple & clean layout with images, no Flash required and many formats exporting with various quality choices. I like the design of Picnik, but the feature of Splashup, Sumo Paint and Pixer because their very simple features are similar to Photoshop CS I’m using. Hope you like this post, let check them by yourself then let me know for the updates if you think some other editor is good. Sweet internet site , super layout, rattling clean and use friendly . Another great online image editor is Fatpaint, a free online graphic design software and image & photo editor, specialized in helping people design custom printed products such as iPad and iPhone cases, t-shirts and promotional products. thank for your suggestion, Fatpaint is new one? interesting article. I am adding your site to my bookmarks. Please tell me which wordpress theme are you using? Wow, Lovely Editor list you have shared, i also love the one you share, known as pixlr, But you should change pixlr to http://www.toolpic.com because toolpic is same like pixlr and give pro version function in toolpic freely..which pixlr is giving in paid version. Pro version function include Animation tempalte, many new shortcut effect with Frames added, And also we can create GIF file. Hope it helps to your visitor. Wonderful Blog you have. Thanks for sharing these photo editing idea with us, its really work.